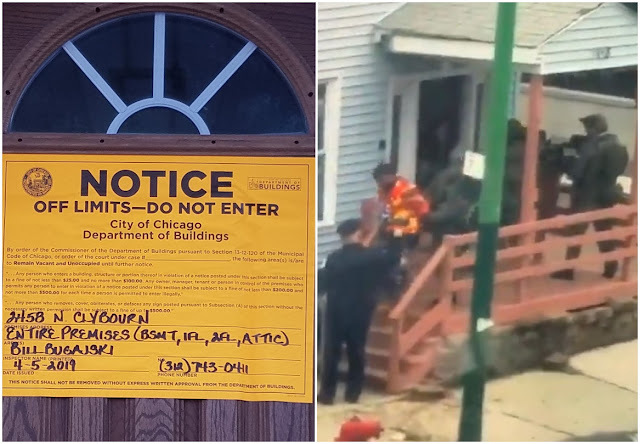 The city’s Department of Buildings has walloped the owner of a Lincoln Park home that was the site of a six-hour standoff between an Airbnb party and the Chicago Police Department SWAT team last month. Building inspectors on Friday declared the home at 2458 North Clybourn uninhabitable and slapped giant fluorescent orange warning stickers on the home to make sure everyone knows about it. Shortly after the SWAT team recovered a trove of weapons and two stolen cars from the home’s parking lot on March 10th, Airbnb issued a statement saying, "We're thankful to Chicago Police for their excellent work to address this situation. We've removed the guest and listing from our community as we urgently investigate." But a source said Airbnb was actually far less cooperative than they said they would be. In fact, one week after the SWAT incident, neighbors called the police back to the home for another rowdy party. So, the city did what the city does: It sent out the building inspectors. Records show a team of inspectors scoured the party house top-to-bottom on March 20th. • Inadequate use of smoke and carbon monoxide detectors. • One unit of house was being used as a single occupancy hotel. Must be returned to a standard rental unit. • Doors too thin. Doors don’t close on their own. Etc. Late last month, Airbnb donated $13,000 to the challenger running against Lincoln Park Alderman Michele Smith (43rd), who shepherded Airbnb regulations through the city council. The company’s investment didn’t pay off. Smith won the run-off election last Tuesday 54%-46%. 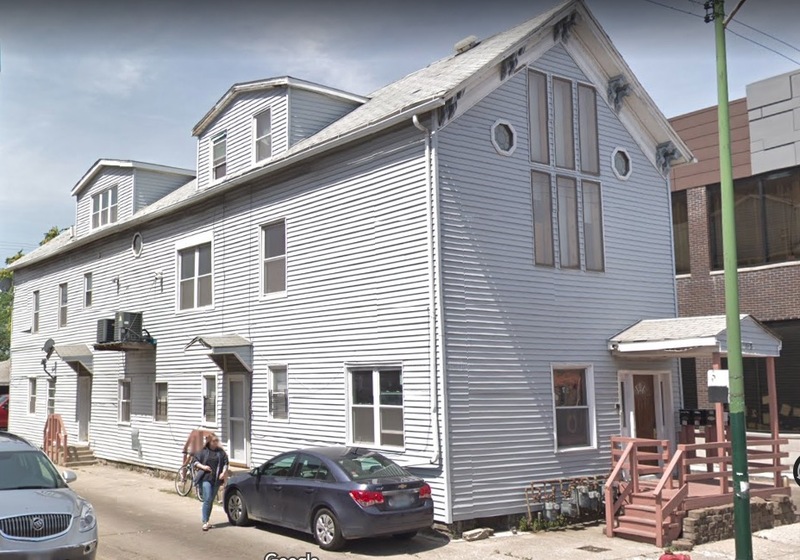 Police said seven handguns, two assault rifles, and a supply of ammunition were seized from the home after last month’s party was disbanded. No charges were immediately filed in connection with the confiscated guns, which police said were sent to a laboratory for testing. Two partiers were charged with misdemeanors: A man who was allegedly in possession of a key fob that operated a stolen car found in the home’s parking lot and a woman who allegedly gave police a false name. Alderman Scott Waguespack (32nd), whose ward includes the party house, told WBBM radio, "I mean, it was just a smorgasbord of problems in there that the police had to deal with. Frankly, I'm surprised they didn't arrest everybody in there."